Since the early 1970’s, the momentum for promoting awareness of the Mayan 2012 prophecies has steadily surged into an almost cult style following. Today news fills internet headlines on blogs, news sites, websites, prophetic heralds and newly released movies like 2012 starring John Cusack. Sensationalism clouds the credibility of stories on this popular topic so jewels of real knowledge are lost in the thick of this streaming hype. Now NASA is getting involved in making the 2012 news headlines. NASA has recently stepped up to refute Doomsday 2012 claims on a website specifically designed for that purpose. NASA has posted the articles “Niburu and Doomsday 2012 Questions and Answers” and “2012- Beginning of the End or Why the World Won’t End”. NASA further elaborates on the topic. With confidence, spokespersons from the space research center talk as if NASA was an appointed delegate for current spiritual beliefs and phenomenon. It is understandable that the government based agency does not want to see people panic based on myths, hearsay and popular fictional movies that are spawning headlines faster than current events in real time. The Agency has a responsibility to the public to provide credible sound scientific data. That’s all. Just scientific data. NASA’s recently launched webpage refutes many popular Doomsday styled claims about the Mayan Calendar ending in 2012, the possibility of a polar shift and the existence of planet Nibiru. New Age theorists make profound declarations that this coming cosmic event will alter human DNA. Again, NASA rebuts firmly but the experts really don’t give solid reasoning for their position. This same scientific government agency released a report about a mysterious gamma ray pulse emitted towards earth in September1997. Research shows that gamma rays alter living tissue at the DNA level. Gamma rays are a low frequency form of radiation that affects cells at the atomic level. The gamma ray pulse described in NASA’s press release sent a blast of radiation throughout our known universe rivaling the sun’s lifetime radiation. So what long term effects will such a gamma ray pulse have on the earth and her inhabitants? That is the next question to ask NASA. Is NASA’s press release any more comforting in the wake of the Mayan Calendar Prophecies written several thousand years ago? What and who is credible? Let’s explore the mysteries in the Mayan Prophecies while we zoom in on that one particular day named on the calendar, December 21, 2012. What could happen if solar flares increase? How will that affect life on planet earth? Will it cause massive power outages due to the increased magnetic pulse coming from the sun’s flares? And where did that powerful gamma ray pulse originate? Answers loom in the unknown to all these questions. Many theories exist but no one is really giving solid answers to all these questions that create a sound projection to the possible events on that most noted future day in the earth’s history. One unanswered question remains about the Mayan prophetic writings pointing to December 21, 2012 as a day of galactic reckoning. Who authored these sacred texts? Even more importantly, who is an authority in their deciphering today? What is written in the Mayan Prophecy for December 21, 2012? The Mayan writings enter our 21st century world like prophetic voices speaking from the dust. The entire scripts of these writings are massive so a study is required to condense the main points. A brief description is presented below about the eras of consciousness as taught in the Mayan evolutionary Model of Consciousness. beginning in 1999, humanity entered the state of ethical consciousness which is defined as the Galactic period. In 2011, evolution will carry humanities consciousness into the era of Universal. This begins on February 10, 2011 and will last for a total of 20 days. That’s right, only 20 days. In 2012, humanity reaches the highest state of consciousness where realization of true self is achieved. According to Mayan belief, individuals living during this time on earth will either receive the light or remain in darkness for the entire cycle of ages. Now you are probably wondering what these eras of consciousness mean and how they relate to prophecy or current events. Simply explained, these concepts apply to this day because the target time from these ancient texts is condensed into a very short few years known as the era between times. Do Mayan prophecies support any other religious prophecies? If so, which ones and in what way? Are Mayan teachings about the days of light so different from Biblical teachings originating from the ancient Hebrew texts? Is the question about a possible Doomsday or Biblical Armageddon a spiritual or material matter? If this is a spiritual event, how does NASA qualify to give the answers? Now that’s a primary question to ask the scientific experts. All these questions deserve answers, not just bold claims and refutations. his is the quest that lies before the inhabitants of planet earth. Find the answers to all the important questions posed here. Search the facts, the data, the theories and prophetic writings from ancient times until this day. Drawing from all that information, can these questions be answered? Or will earth just have to wait until December 21, 2012 to find out what is true? 2012 – The End of Civilization as we Know It? With the release of the latest action-packed Hollywood blockbuster, 2012, there can’t be too many people around who don’t yet realize the significance of this year, specifically December 21st, 2012. The movie is a frightening and realistic account of the last days of the world and mankind’s desperate attempts to survive. But is there any factual basis to any of this and how worried should we be? The ancient Mayans are largely responsible for pinpointing this particular date as being of significance, although the date was not arrived at by accident or simply chosen; it was carefully calculated. The Maya people flourished in Central America, from around 300 BC to around 900 AD, when their civilization mysteriously vanished, for reasons that are still not fully clear. Apart from their end of the world prediction, the Maya are also well known for their regular human sacrifices and the construction of their huge stone pyramids, many of which can still be seen today. The year 2012 is arrived at from the Maya Long Count, a calendar that tracks a span of time lasting just over 5,125 years and which will end in the year 2012. An English anthropologist, Eric Thompson, worked out that this cycle would have begun on August 13th of 3114 BC, which meant that it would end on December 21st, 2012. The Mayans had various other calendars that they used regularly as well; it is only the Long Calendar that places any significance on this particular date. However, the date of December 21st, 2012 is also significant as on that day, the earth and sun will be in alignment with the center of the Milky Way galaxy, an event that occurs only once every 26,000 years. The Mayans had an excellent knowledge of astronomy as indicated by their surviving texts and the construction of their buildings; although whether they somehow knew this, or whether this is all coincidence is an intriguing question. And to add to the intrigue, that date is also the date of the winter solstice – the shortest day of the year. The fact that the world will end seems to have been misinterpreted, according to many sources. Experts point out that several other cycles of the Mayan Long Count calendar have come and gone, without any apparent disasters – so why should this one be any different? In fact, the end of the calendar should bring something good, rather than doom and gloom – the Mayans generally believed that the passing of a full cycle would be a time of rejoicing. Skeptics also point out that we change our calendar every December 31st, with no apparent disastrous effects. he Mayans aren’t the only ones responsible for causing otherwise rational people to believe the world will end on that date. The ancient Egyptians calculated that the year 2012 would be a year of great changes, although these weren’t really specified. And more recently, NASA has calculated a sharp increase in the amount of sun flares and sunspots that year, two things sure to cause widespread electrical failure. Some geologists have also predicted that the hot geysers under Yellowstone National Park will experience a huge eruption around that time; and some claim that the Bible and certain Hindu texts also pinpoint that date. Again, skeptics point out that almost any information or data can be interpreted to fit a theory and that none of this proves anything. If you are concerned, you can do what various other people around the world have done and start to amass emergency rations and a safe place for your family to hide during the apocalypse. Realistically though, all indications are that December 21, 2012 will be just another day. However, you should be warned that there will only be four shopping days left until Christmas! More than five hundred years after his birth, the prophesies of Nostradamus continue to intrigue, fascinate, and confound. Should we label him a prophet or a fraud? Was he the greatest psychic known to man, or a charlatan, whose verses can be too easily manipulated? His supporters maintain that he predicted the French and Russian revolutions, two World Wars, the rise and fall of Napoleon, the dominance of Hitler, and many other catastrophic world events. His detractors claim that his mixed language quatrains are so ambiguous that they can be used by the credulous to fit the facts after the event.Is it possible that his four-line verses, written in a mixture of French, Hebrew, and Latin, deliberately obscured by the use of anagrams and abbreviations, could predict events in countries unknown during the middle ages? Michel de Nostredame was born on 14th December 1503 in St. Remy de Provence. Although Jewish, his family took the wisest course during a time of religious intolerance, and converted to Catholicism. His great-grandfather encouraged him to study astrology, celestial sciences, and Hebrew, in addition to Greek and Latin.At the age of fourteen he left home to study at Avignon, and five years later, in 1522, he enrolled at the University of Montpellier to study medicine. Shortly after his graduation, bubonic plague struck Montpellier, and the young doctor had his first opportunity to practice his skills. Nostradamus could not claim to cure plague, but it appears that outbreaks were less virulent when he was the physician, and his fame as a plague doctor spread. For the next four years he traveled all over southern France, treating plague victims. Eventually, when the outbreak had finally run its course, he returned to Montpellier to obtain his doctorate. He only practiced as a doctor for a year before setting off on his journeys again. During his travels he received a letter from Julius Caesar Scalinger, one of the foremost physicians and scholars of the day, inviting him to visit the Bishop of Agen, who was interested in some of his ideas. Whilst in Agen he married, his wife’s name is unrecorded, but we know that she bore Nostradamus two sons.Sadly in 1537 plague struck, and although he saved many, his wife and children died. Older doctors ridiculed him for his arrogance in believing his methods superior to standard practice, when he could not even save his own family. Shortly afterwards charges of heresy were brought against him, concerning a remark he had made some time previously about a religious statue. Clearly Agen was no longer a comfortable place to be, and for several more years he wandered throughout Europe. It was during this phase of his life that stories began to circulate about his supposed clairvoyant abilities. In Ancona, Italy, he prostrated himself before a young Franciscan monk, Felix Peretti. The startled monk, a former swineherd, asked Nostradamus to explain his actions. He replied that he was kneeling before his holiness, much to the amusement of the other monks. Felix Peretti was elected Pope Sixtus 1V in 1585.On another occasion Nostradamus was supposedly the guest of a skeptic, the Seigneur de Florinville. The Seigneur asked which of two pigs would be eaten that night. Nostradamus answered that a wolf would devour the white pig, and the black pig would be served at table. Determined to prove Nostradamus wrong, Florinville ordered the slaughter of the white pig. The cook complied and the white pig was roasted. During the meal Florinville asked which pig they were eating, and Nostradamus answered: “the black pig.” Delighted, Florinville sent for the cook and asked him which pig was on the table. He was astounded when the cook explained that a tame wolf had entered the kitchen and devoured the white pig, he had then slaughtered and cooked the black pig. Florinville was a skeptic no longer.When Nostradamus returned to France he settled in Salon, and in November 1547 he married Anne Gemelle. His wandering days were over. He began to write, and the first book of his prophecies was published in 1555. He grouped his quatrains in sets of 100, known as the centuries. The book contained over 350 predictions (three complete centuries plus 53 quatrains of the fourth). Nostradamus became so popular that Queen Catherine de Medici summoned him to Paris. He was appointed as personal physician to Henri II, despite one of his quatrains predicting the death of the King. On the field of combat by single combat. Two wounds from one, then he shall die a cruel death. The King was killed when a lance splintered pierced his eye during a tournament. He died as a result of his injuries. Nostradamus made many predictions for his own time, and hundreds for events many years into the future. The following quatrain is interpreted as the start of the French revolution, the uprising of the people, followed by the King listening to Marie Antoinette, and finally betraying his promise not to leave the Tuileries.Under the pretext of freeing the people,The people themselves will usurp power. He shall do worse because of the trickery of a young whore. He shall betray in the field, delivering a false promise. The royal couple escaped from the Tuileries, and was heading for a hiding place in Varennes, when their coachman lost his way in the forest of Reines. The captured Queen was dressed in white, the King in gray.By night there will come by the forest of ReinesA married couple, by a devious route.A Queen – white stone, a monk-king in gray at Varennes. Elected Capet, causes tempest, fire and bloody slicing. Is this Napoleon?An Emperor will be born near Italy,Who will cost his empire dearly. They will say when they see his allies,That he is less a prince than a butcher. Could this be Hitler?Wild and hungry beasts will cross rivers. The greatest battles shall be against Hister. For our own time, perhaps the most intriguing is the following quatrain. Sooner or later you will see great changes made.Extreme horrors and vengeance. As Islam is thus led by its angel,The heavens draw near to the balance. The final word should go to Nostradamus himself, who had a superstitious fear of people walking on his grave, and gave instructions that he be buried upright. On his death, in 1566, his wishes were carried out and he was interred in the wall of the church of Cordeliers. After his death his fame increased and rumors began to spread that important papers had been secreted in his coffin.In 1700 the authorities at Salon bowed to pressure and gave permission for his coffin to be examined. No papers were found, but a medallion was discovered hanging from the skeleton. It was inscribed: 1700. Recently the History Channel started to air a program that analyzes of all of the 2012 theories. It calls this new series the “Nostradamus Effect“. Nostradamus is so well known for all of his future predictions that you might refer to him as the “Father of Future Predictions”. My, Oh, Maya! A Doomsday Prophecy? We’ve been hearing about the end of the world for quite some time, now, right? It might come by meteor; it may be the result of a nuclear war; it could be a slow but definite deterioration of our Ozone layer. Whatever the cause may (or may not) be, people are obsessed with the idea of the end of the world. What makes the Ancient Mayan predictions of doomsday any different from these other catastrophically deadly potentials? The date.The difference with the Ancient Mayan prophecies, as opposed to other end of the world predictions, is a precise account of when life as we know it will cease to exist. No one can say exactly when or if a meteor will hit. We can only speculate as to when a nuclear war might erupt. We’re still learning about the Ozone layer and whether or not we can reverse the damage done, but we cannot say precisely if or when it will collapse. However, the Ancient Mayans pin-pointedly predicted one specific date, thousands of years into their own future, when we will face the end of the world as we know it. Furthermore, this date is frighteningly close: December 22, 2012.
how exactly did an ancient people prophesy such a future? The answer is in the codices, a collection of writings created by this past civilization, the most famous of which is the Dresden Codex. The Dresden codex aimed its sights at the stars, the planets, the sun, the moon, and space-related phenomenon. In this hieroglyphic script, the Ancient Mayans used mathematical and astrological genius to formulate an advanced working of the calendar. Contrary to popular belief, the Ancient Mayans did not invent the calendar, but they did perfect it to such a degree that their calendar system measured time and planetary occurrences more accurately than the calendar we use today. They also are responsible for our current understanding of the zodiac, based on a 12-part division of the sky. If you wake up in the morning and read your horoscope, you can thank the Ancient Mayans. But who were these people, and why should we be concerned about their predictions for our future? no one knows exactly when the Ancient Mayans began making their mark on history, but we do know they were most successful in Mesoamerica somewhere around 2600 BC. (4,607 years ago), and peaking at around A.D. 250 (1,757 years ago) in present day Southern Mexico, Guatemala, Western Honduras, El Salvador, and Northern Belize. Most archeological findings date the most significant productivity of the Ancient Mayans in what is known as the Classic Period, A.D. 250-900 (1,107 years ago). We also know that during their near five-thousand-year reign, the Ancient Mayans accomplished remarkable feats in the written language, mathematics, astronomy, astrology, art, architecture, agriculture, and much more. The years between 2600 B.C. and 100 A.D. were, for the most part, the golden years for the Maya civilization. With the introduction of the Omelc civilization in 2000 B.C., Mayan culture expanded. Extensive trade routes were built, knowledge and goods exchanged, and farming was established throughout Maya regions. This is when writing was developed in Mesopotamia, when the first solar calendars were carved in stone, and when the Maya set their spiritual, religious, and political roots in a hierarchal system governed by nobles and kings. This is also the time when their greatest pyramids and observatories were created. The Ancient Mayan structures were remarkable in their own right due to their seemingly perfect alignment, their awe-inspiring size, their attention to detail, the exquisite artwork and architecture, and the products they developed and learned to work within their buildings, such as plaster. Several of the buildings are even more mysterious in that they produce certain effects, such as the sound of a chirping bird, or the shadow of a snake slithering up their slopes during specific times of the year. But what’s even more astounding is that the Ancient Mayans created these elaborate pyramids and observatories without the use of metal tools! Ancient Maya religions are still not completely understood, but it is clear that the Maya people honored, worshipped, and made sacrifices to many gods – gods that, unlike individual entities, are thought to have the ability to merge and morph with one another as needed or appropriate to portray differing aspects. The Mayans were also heavily founded in beliefs in the supernatural. Because the Mayans understood all things to work in cycles, good and evil were not set concepts, which could be how they justified, in part, their acts of human sacrifice.Everything, to the Mayans, had a pattern of moving in cycles. This helped with their advancements in farming and their understanding of the movements of the heavens and the Earth. Combined, their knowledge of astrology, astronomy, mathematics, time, their spiritual and supernatural beliefs, as well as their understanding of cyclical patterns, is what led to the creation of the Dresden Codex. The Maya didn’t just work with one calendar, but instead had a multitude of ways they dissected, analyzed, and measured time. They had two yearly cycles, one known as the Tzolkin, measuring 260 days; and the other being the Haab, of 360 days. These two calendars worked directly with the movements of Venus and Mars, and with a “special” number of 1,366,560 days, a number that is not yet fully understood by modern researchers. But then there was a third form of measuring time, and this third form is the one with which we’re most concerned. A person could easily spend ample time of their own trying to understand the complex intricacies of the Ancient Mayan calendars, but to suit the purpose of understanding the Dresden Codex in relation to doomsday predictions, we can simplify as follows, based on the third form of Ancient Mayan time measurement. The Ancient Mayans began with a start date, known as the birth of Venus, which is understood as 3114 B.C, the beginning of time recorded. As with our calendars today, the Ancient Mayan calendars were divided into what can be identified as months and years. The months measured 20 days, and the years consisted of 360 days. The Ancient Mayan calendar then exceeded the calendars of today, grouping together even longer periods of time, the first being known as the kuton and measuring 7,200 days; and the second, called the baktun, measuring 144,000 days. Another number relevant to the Mayans that we don’t yet fully understand is the number 13 (superstition, perhaps?). They believed that after 13 buktuns, each buktun measuring 144,000 days, would be the end of a cycle – or, as many of today’s time understand it, the end of the world. By doing the math, we are able to understand that the end of this time period translates to December 22, 2012. Some accounts suggest December 21, others pinpoint December 23, but that may depend largely on geographic location. Nonetheless, we are faced with potential drastic change in December of 2012. As of the writing of this article, according to the Dresden Codex, the end of the world is roughly five and a half years away. no one disputes the advanced workings of the Ancient Mayan civilization. We’re all impressed with the knowledge they possessed and how they chose to apply that knowledge. However, how or where they gained such knowledge is open for debate, with theories ranging from simple and natural evolution, to involvement from alien beings. Adding to the mystery of this ancient people are findings such as the Crystal Skulls in locations close to Mayan ruins. These unexplained crystal skulls are said to possess certain metaphysical or paranormal attributes, such as psychic communications. Science is puzzled over the skulls because no one has yet been able to determine exactly how or when the skulls were created because they reflect absolutely no signs of tool markings. As with any unexplained, potentially paranormal phenomena, several theories have been laid out, including that the crystal skulls, once they’ve all been found and united, will unveil great knowledge capable of saving humankind. Naturally, it is suspected that the year 2012 may not be the end of the world, but may in fact be the end of the world as we know it, marking the beginning of a new way of life on earth. Even though scientists and archeologists have learned a great deal about the Ancient Mayans, how and where they lived, and have been able to, in part, decipher the Dresden Codex, there are still many holes in the doomsday prediction pointing to 2012. One of the most important factors to keep in mind is that though several codices are believed to have existed, only a few of those remain – and even fewer are accessible to us. Many of the codices were lost or destroyed by time or conflict with other ancient civilizations. Others are currently protected as sacred text by the Elders in modern day Mayan cultures whom are not willing to share the extent of their knowledge. Taking this into consideration, we have to rationalize that we only have a small portion of the information on which the Ancient Mayans founded their belief systems and civilizations. We may have a list of ingredients, but we are lacking the full recipe! We cannot logically reason that we can formulate a crystal clear understanding based on a portion of ancient information taken out of context.Will the crystal skulls found around Ancient Mayan ruins come together alas in 2012, shining upon us their wisdom and glory, paving the way to a new way of life? Is 2012 the date the alien nations will reunite on our planet to share with us their technology? Is the world itself destined to die five years from now? Or are we setting ourselves into a panic based on insubstantial evidence? Only time will tell. Nibiru is referred to as the twelfth planet as well as Planet X. It is a large body on the outer edges of our solar system with an elliptical orbit that brings it close to the sun every 3600 years. There are many theories associated with Nibiru and most of them center around the year 2012 in which many believe will be the end of the world, at least as we know it. The date of December 21st, 2012 coincides with the winter solstice and end of the Mayan calendar. But what will occur on this date, if anything? Although no one knows for certain, many believe that the earth will undergo cataclysmic changes and a possible reversal of the poles. Some believe that Nibiru will impact with earth while others believe that the ancient gods are returning. Nibiru is supposedly an inhabited planet and that the race which resides there, known as the Annunaki, visited earth long ago.Author Zechariah Sitchin, studied ancient Sumerian tablets which depicted extraterrestrial visitations. As with any theory, there are those that agree and others who disagree. There are of course, others who have expounded upon Sitchins’ theory. According to the story, there was once a large planet called Tiamat with which Nibiru had a collision. The Annunaki (or at least some of them) survived the impact. Tiamat was cut in half, with the earth, moon and asteroid being the remaining remnants of her glory. Yes, it may not all add up but then I can neither prove or disprove the theory. Anyway, it appears that the technologically advanced Annunaki took on the task of terraforming the Earth to make it habitable. It seems the aliens needed gold, either to repair their ailing atmosphere as Sitchin suggested or for some other reason. The task, however, seemed to be somewhat daunting, even for such an advanced race of beings as the Annunaki. The Annunaki needed workers to mine the gold and so they came up with a solution. They created a hybrid worker using the primitive beings on Earth and their own DNA. The new being, namely humans, were created to be slaves for the Annunaki. Some people believe that the return of Nibiru will be beneficial, ushering Earth and her people into a higher vibrational frequency and a new era. Then there are those that believe Nibiru will bring destruction to the earth. The climate of Earth is changing due to global warming but what is causing the warming? Is it really all due to the actions of humanity? If so, why are the other planets in our solar system undergoing a warming of their own? There has been an increase in upheavals on Earth including tsunamis, earthquakes, flooding and more in various parts of the world. There are some who believe that these events are occurring due to the increasing approach of Nibiru. The powerful effects of Nibiru’s magnetic field could have disastrous consequences for Earth. It could also affect the other planets in our solar system as well. Earth could very well see massive tsunamis, shifting land masses and increased volcanic activity. There is no doubt that Earth has been experiencing climatic changes and they are likely to become more frequent and intense as Nibiru continues to approach. Some people feel for various reasons that the earth’s polar caps will make a sudden shift. This event would cause a huge change in the way the earth looks. Land masses would change dramatically. Where there was once water would now be dry and areas of land might be completely flooded.This sudden shift of the polars has been proven by a lot of people to not be “so sudden”. Many scholars believe that the shifting of the polar caps takes place slowly over a very long period of time. This is also another theory which a lot of times involves the planet Nibiru. If Nibiru (Planet X) did exist then the gravitational pull from it moving through our solar system might cause the polar caps to shift? The Mayan calendar ends on 12/21/2012. Or in Europe that would be written out as 21/12/2012. Either way it means December 21, 2012. The Mayans were a scary group of people. There is not doubt that this end date worries us. According to “interpretations” they received their information from an outside source. 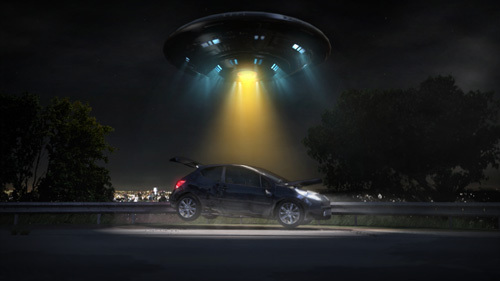 (UFO or Alien). The “Kukulcan” (as he was called) provided the Mayans with their astronomical information. Who was this guy? The Mayans described him as a tall white man who came from the sea. Some people argue that the Mayans were only predicting the end of one cycle and the beginning of a new one. But, maybe the Mayans knew the date that Wormwood was going to hit the earth. The idea that a spider (web robot) can search through Internet text information and conclude that something bad is going to happen in 2012 is completely ridiculous. Any type of web spider or robot that scams the Internet is going to find a ton of information about the year 2012. That is all this web bot is finding and to conclude that it’s an oracle of some kind is ridiculous. We really feel that the web bot wins the award of the biggest 2012 Hype Prediction out there. This is a popular theory that involves a planet with an elliptical orbit. This planet is supposed to pass through our solar system every 3600 years. There are a lot of holes in this argument and we feel it should be dismissed as a bad theory. The main part of this theory is based on an ancient drawing. There are people who feel this drawing has been misread. There have been statements made that Nibiru should become visible in the sky by November, 2009. That’s not too far off, so we should soon see if Nibiru really does exist. Some people are even suggesting that it is visible already from Antarctica. Even though we feel this theory is probably not true, we do find it interesting that a seed depository has been built in Norway. While Nostradamus is well known for all of his predictions, we feel that some of the quatrains are a real stretch. Especially the drawings that were recently presented on the History Channel. If you watched the program about the “Drawings of Nostradamus”. The interpretations of these drawings were wild and very difficult to believe. Nostradamus was so vague, that most of his writings could have meant numerous things.